What you’re struggling, how do you break through? Leave me a comment below. I’d love to hear you share your voice! 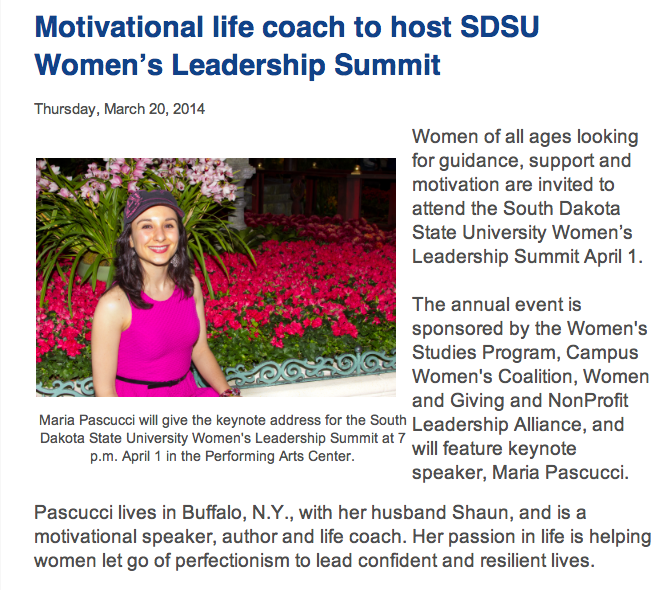 This entry was posted in From Maria Pascucci, the Founder of Campus Calm and tagged Campus Calm, Maria Pascucci, South Dakota State University, Women's Leadership Summit. Bookmark the permalink.